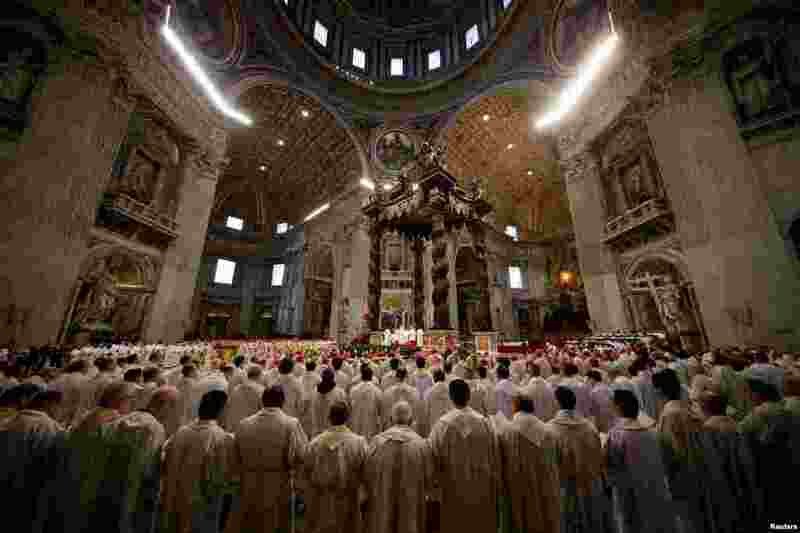 1 Pope Francis leads the Chrism Mass on Holy Thursday during which sacred oils are blessed at Saint Peter's Basilica at the Vatican. 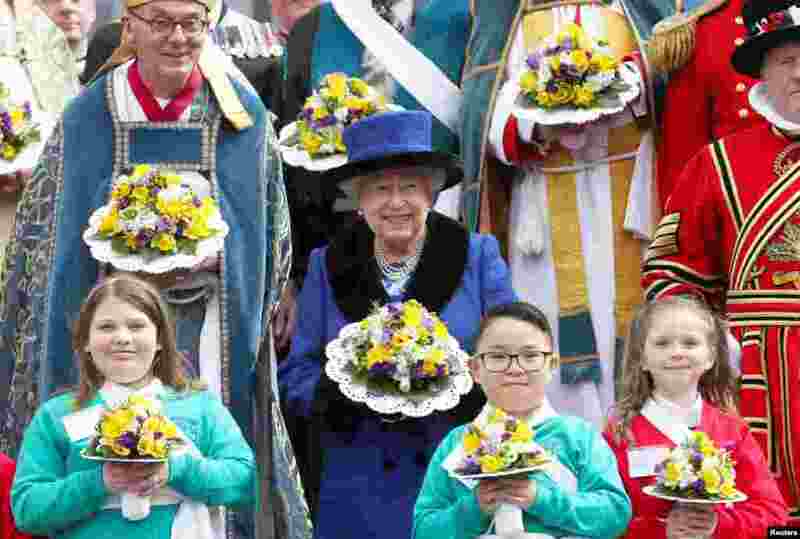 2 Britain's Queen Elizabeth holds a bouquet after attending the Royal Maundy service at St. George's Chapel in Windsor. 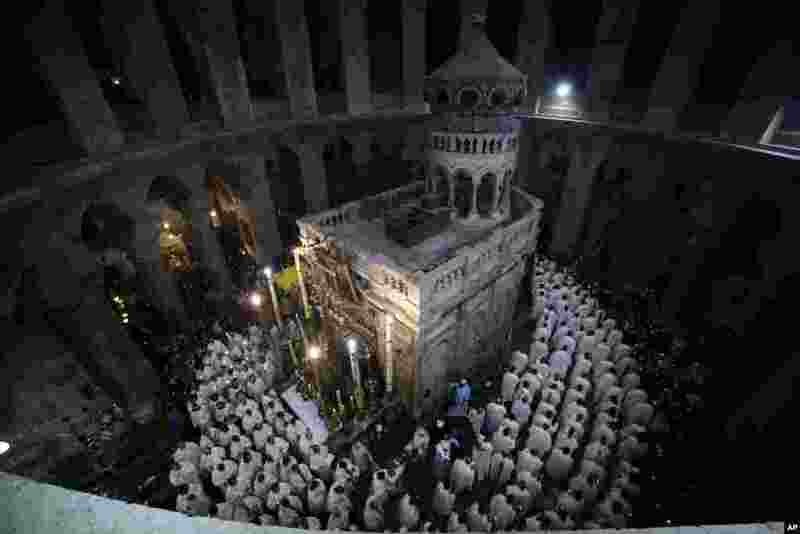 3 Catholic clergy walk during the Washing of the Feet procession at the Church of the Holy Sepulchre, traditionally believed by many Christians to be the site of the crucifixion and burial of Jesus Christ, in Jerusalem. 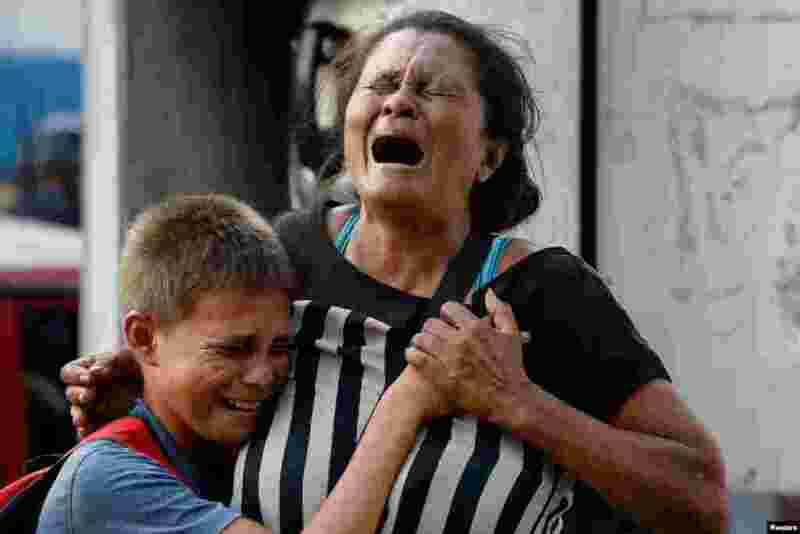 4 Relatives of inmates cried at the General Command of the Carabobo Police as they wait outside the prison, where a fire occurred in the cells area, according to local media, in Valencia, Venezuela, March 28, 2018. Rioting and a fire in the cells of a police station in the central city killed 68 people, according to the government and witnesses.